The Orange County Register first reported the e-mail on its Web site Tuesday night. Grose confirmed to the AP that he sent the e-mail to Price and said he didn't mean to offend her. 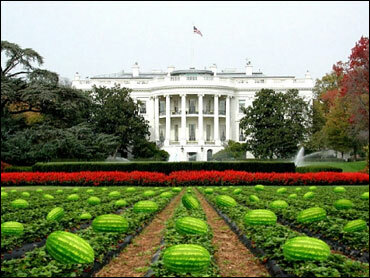 He said he was unaware of the racial stereotype that black people like watermelons. Grose, who became mayor in December, said he sent an apology e-mail to Price and her boss and also left her a voicemail apology. Regardless, Price said it will be difficult for the two to work together. "Now I am like - wow, is this really how he feels?" Price said. Los Alamitos is a 2¼-square-mile Orange County city of around 12,000 people. The mayor is elected by fellow members of the five-seat City Council.